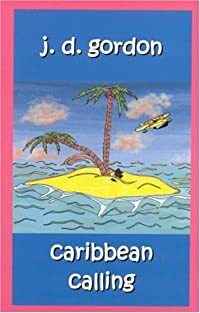 Caribbean Calling by J. D. Gordon, a Mysterious Review. Review: Caribbean Calling is the second mystery in this series to feature Eddie Gilbert, a firefighter from the Chicago suburbs, who travels to Tampa on a month-long "interview" for a job with a company whose business is never quite clearly identified. One of his early assignments is to locate the daughter of a wealthy client. A doctor, she was working with a relief organization on a tiny third-world island nation in the Caribbean when her regular phone calls home suddenly ceased. Eddie hooks up with a partner in Key West and the two of them are off to uncover what happened to the young doctor. Caribbean Calling is an ambitious effort that fails to deliver on its promise. Gordon has for the most part developed genuinely interesting characters and locales, drafted an intriguing adventure in which they can participate, but then misses the mark entirely when tying it all together. It's almost as if the author created an intricate outline of a story with detailed descriptions of people, places, and events, and then converted the whole thing into paragraph form and called it a book. One of the problems for the reader is that there is too much reliance on knowing what happened in the first book of the series, Island Bound, to understanding some of the character motivation in this second book. The pointless preface suggests there may be some interpersonal conflict to be resolved, yet when it happens it's a disappointment. Finally, Eddie himself is a bit of a contradiction. Portrayed as a hero and James Bond-type of character, he keeps his ego in check, has a softer and arguably weaker side, and follows far more often than he leads. As the principal character of an action, adventure, mystery series, he comes off as something of a wimp who doesn't engender the respect of the reader. Acknowledgment: Breakthrough Promotions provided a copy of Caribbean Calling for this review.